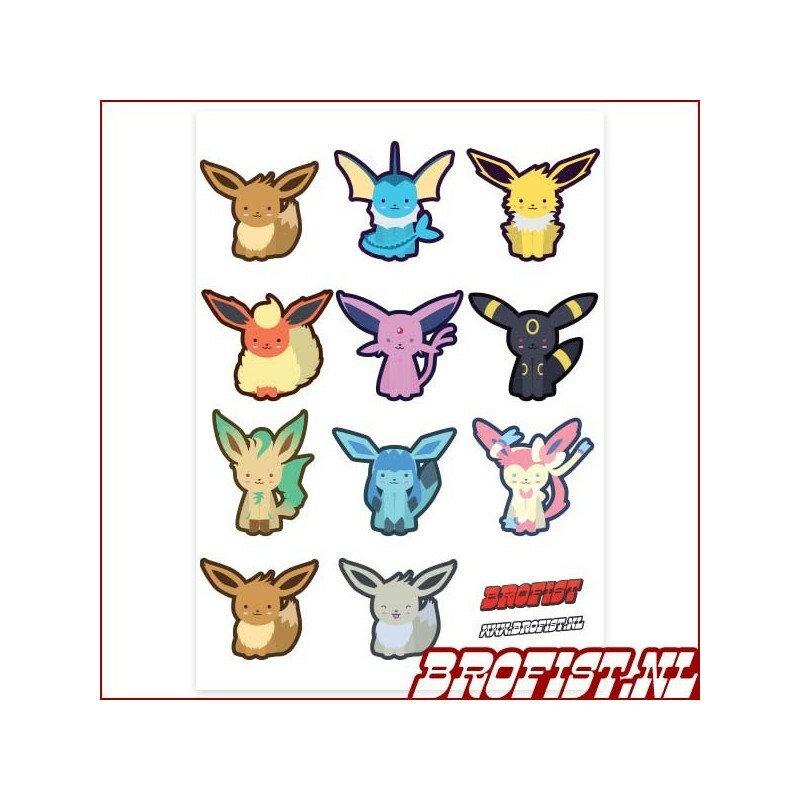 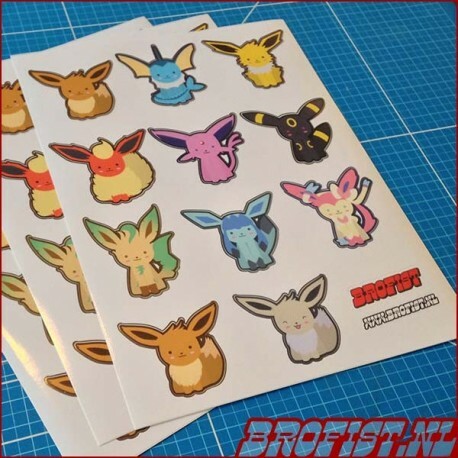 A sticker sheet with the whole Eevee family, incuding Sylveon! 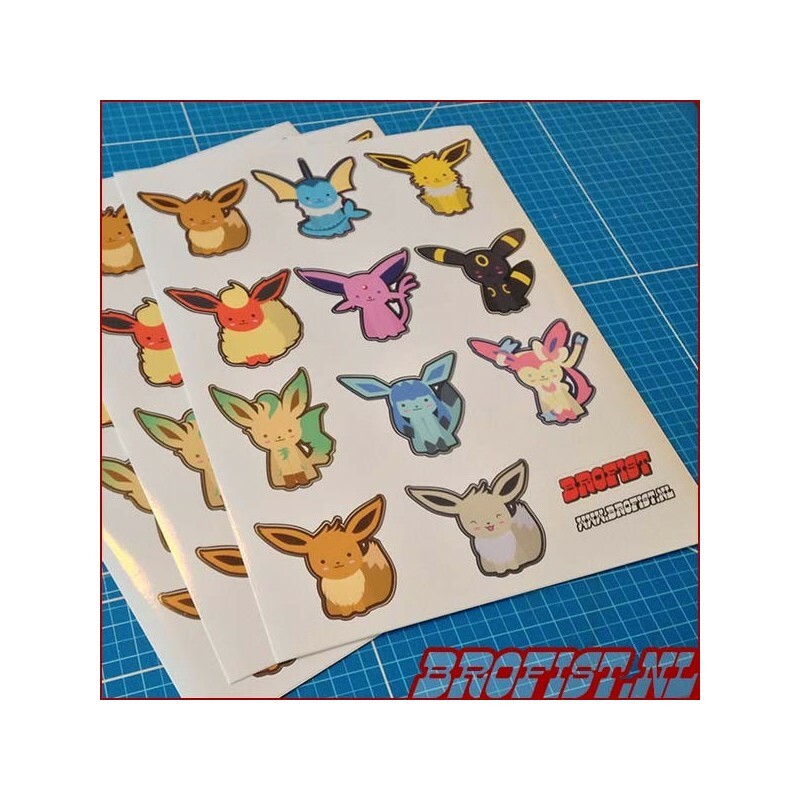 As an extra, you get a 2nd Eevee and a rare shiny version! These are fanmade stickers by Pasu of Brofist!